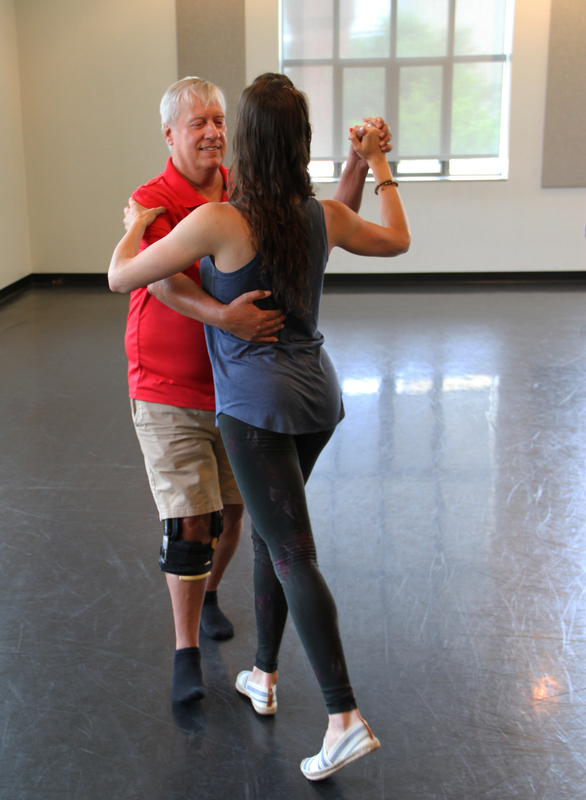 Tim Hickey dances the Argentine tango with Mimi Lamantia to build strength and balance after surviving cancer. Like many patients, Hickey suffered from peripheral neuropathy, which can occur when chemotherapy damages nerves in the legs and feet, causing balance issues. (COLUMBUS, Ohio) – In an effort to help some patients regain their balance after cancer treatment, researchers at The Ohio State University Comprehensive Cancer Center are teaching them to dance. The Argentine tango, to be exact. And a new study shows the approach not only gets patients back on their feet sooner, it dramatically reduces their risk of injury due to falls. It’s a condition known as chemotherapy-induced peripheral neuropathy. Studies show it affects nearly 70 percent of patients one month after chemo, and after 6 months, nearly 1 in 3 still struggle with the condition. 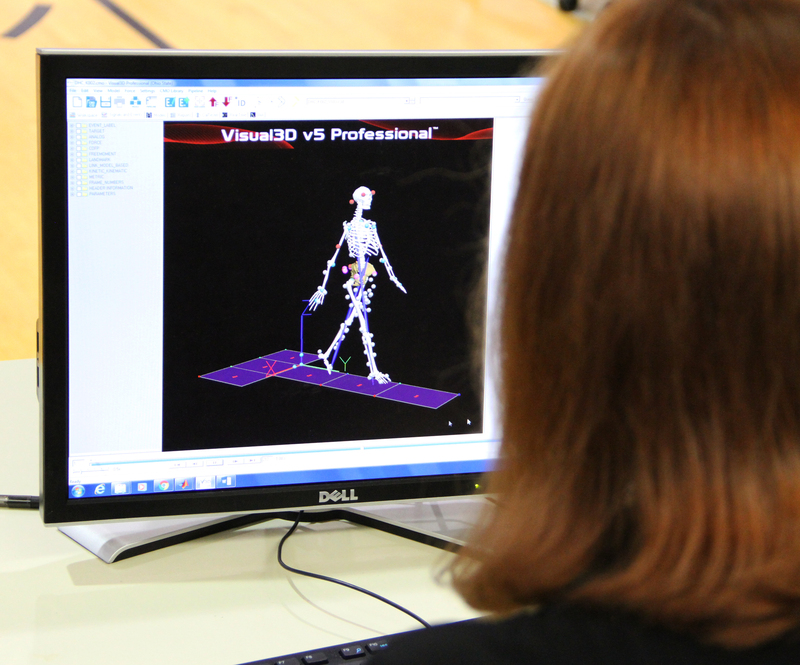 After just 5 weeks of dance classes, patients improved their balance by an average of 56 percent. Patients also had measurable changes to their core strength – which is often depleted due to muscle loss associated with cancer – and most were more likely to complete physical therapy. Mimi Lamantia teaches Argentine tango to Tim Hickey. Lamantia designed a study at The Ohio State University Comprehensive Cancer Center that improved the balance of cancer patients by 56 percent by teaching them to dance. The research was funded by Pelotonia, a bike ride that has raise $106 million for cancer research. Lise Worthen-Chaudhari (right) checks Mimi Lamantia`s balance. 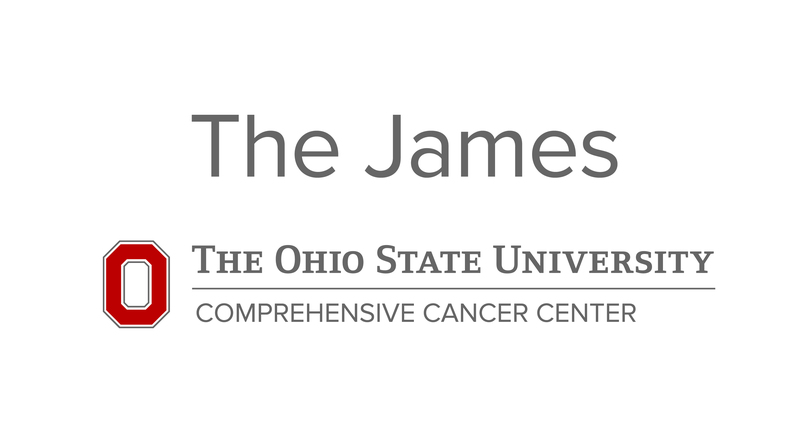 The two conducted a study at The Ohio State University Comprehensive Cancer Center that used Argentine tango lessons to improve the balance of patients by an average of 56 percent following cancer treatments. 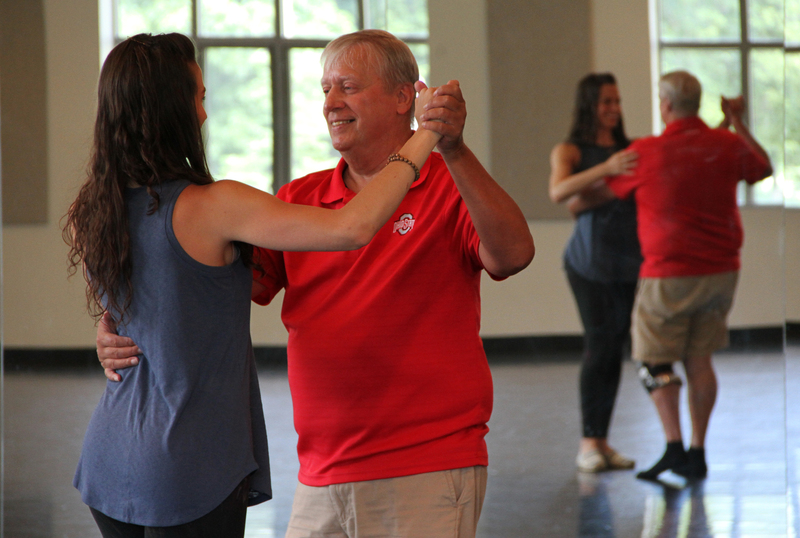 Former cancer patient Tim Hickey dances the Argentine tango with Mimi Lamantia at The Ohio State University. 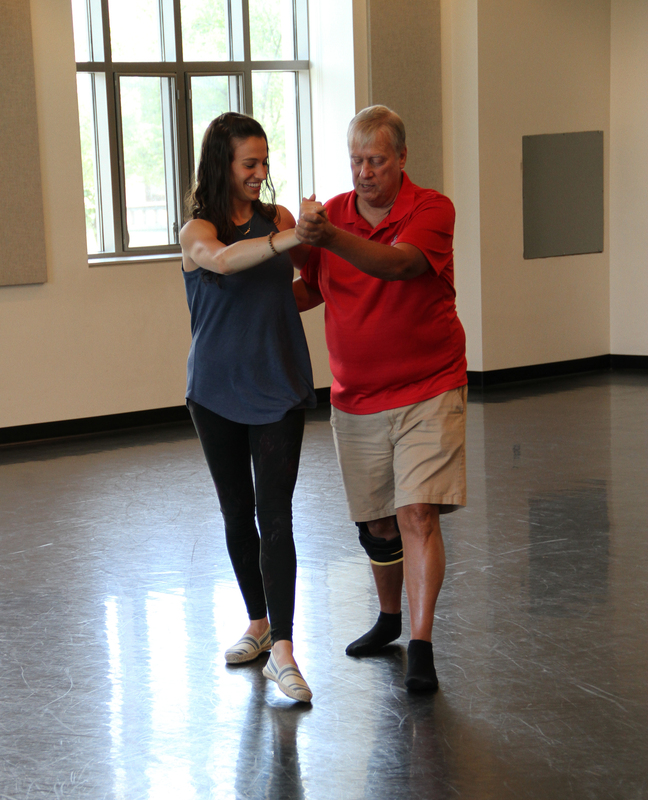 With just a five weeks of dance lessons, participants improved their balance by 56 percent, dramatically reducing their risk of injury due to falls. 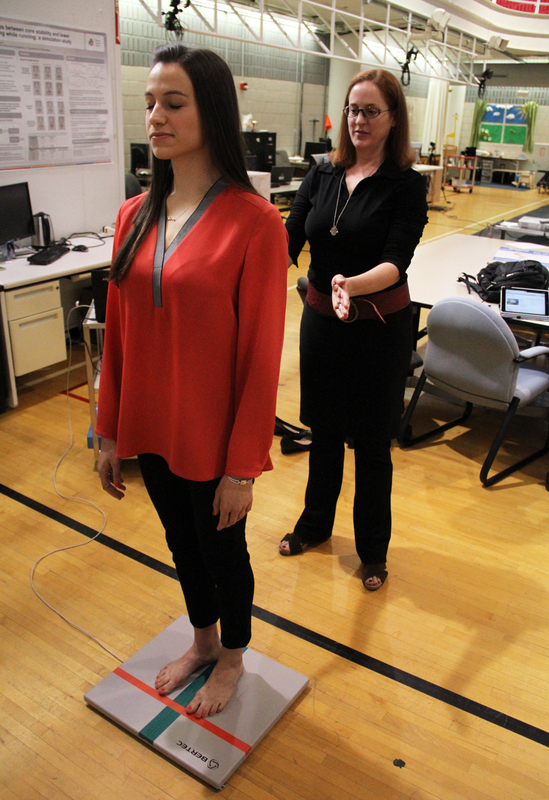 Lise Worthen-Chaudhari studies 3-D models that chart the movement of cancer patients with a condition known as peripheral neuropathy. While chemotherapy is often an effective way to rid patients of cancer, it can also damage nerves in the legs and feet, causing balance issues.